How to Create a Profile on Amazon ? 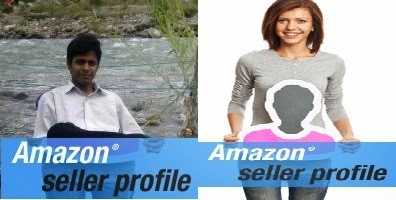 Creating a profile on amazon will give boost to your shopping and also help you keep in touc with family and friends on amazon. your profile also display on events calender and on your listmania lists. Login to Amazon.com and click on where it shows your name and "Amazon.com". For example, if your name were Henry, this part would say "Henry's Amazon.com". Click on "Your Profile". Search "About Me" and click on "Edit". Enter details. Type a paragraph in the "In My Own Words......" box. Select privacy setting of your profile by selecting "everyone", "friends" or "Only Me" than Save. Now edit "Favorite Items" section. Add your favorite music, movies, books and any other items by provided buttons. You can add introductions to favorite items also. Use navigation bar to create and manage lists. You can create Wedding registries, Wishlists and baby by profile editing tool. Use provided calendar to set reminders. Invite family and friends by entering their email addresses and click on "Go". To keep track of these people add them to your profile. Upload your picture to your profile. Edit the privacy of "Recent Purchases" page by clicking on "Edit". Review the "Content Guidelines" link.